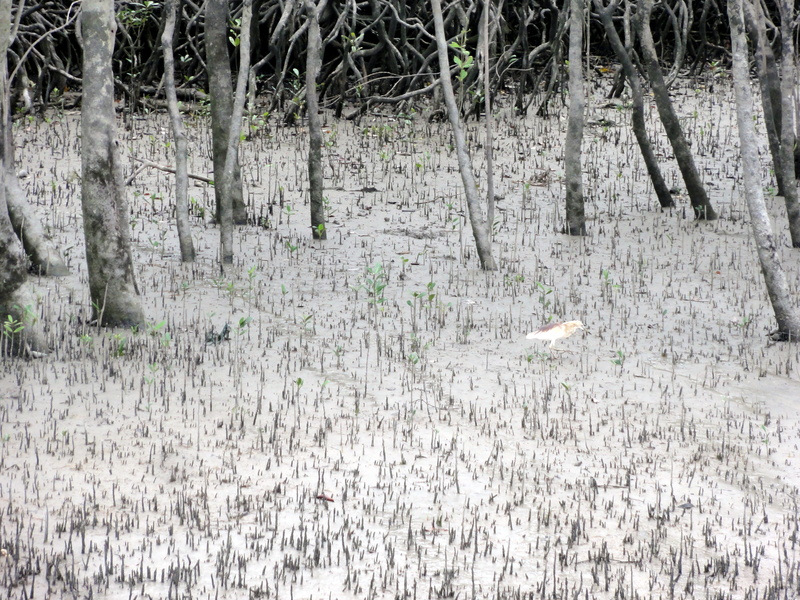 My maiden visit to Sunderbans, the only mangrove tiger land in the world was truly memorable for more reasons than one. Bestowed with natural beauty and magnificent scenery, the national park being home to one of the largest reserves of the Bengal tiger is almost synonomous with the wild cat. While we did not manage to spot one, the entire region itself which is a UNESCO World Heritage Site is a natural wonder and is definitely worth many visits. 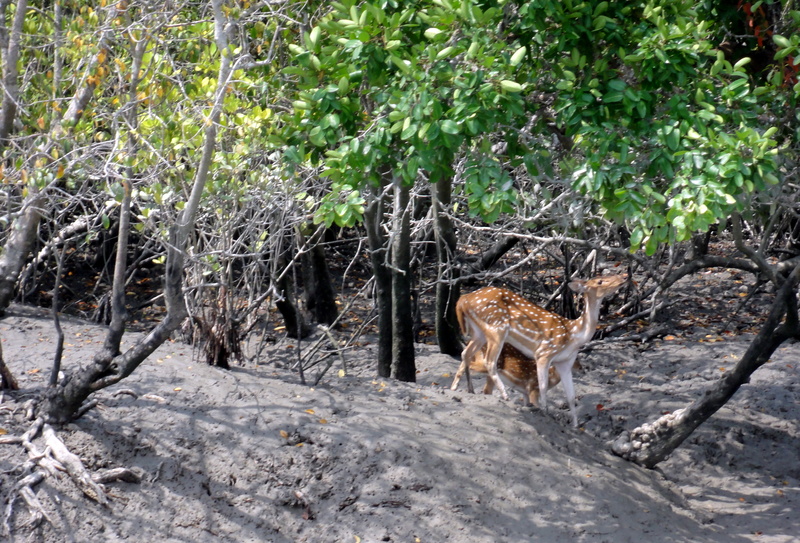 Here is what I found truly distinctive and absorbing in the Sunderbans. 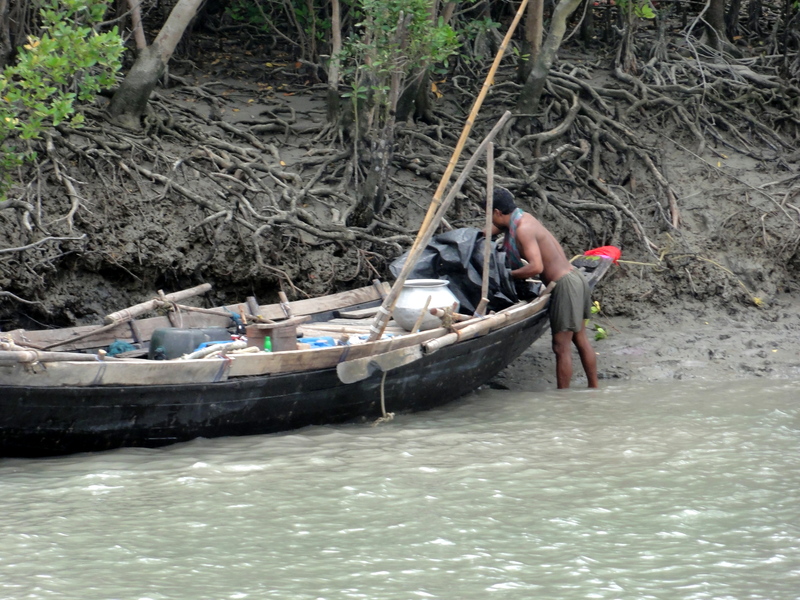 Unique and complex ecosystem: the Sundarbans is a natural region that lies in the delta on the Bay of Bengal formed by the confluence of the Ganges, Padma, Brahmaputra and Meghna rivers. Spread over 10000 sq km, the mangrove forests which are one of the largest of such forests in the world, lie mostly in Bangladesh with only a small portion in West Bengal in India. 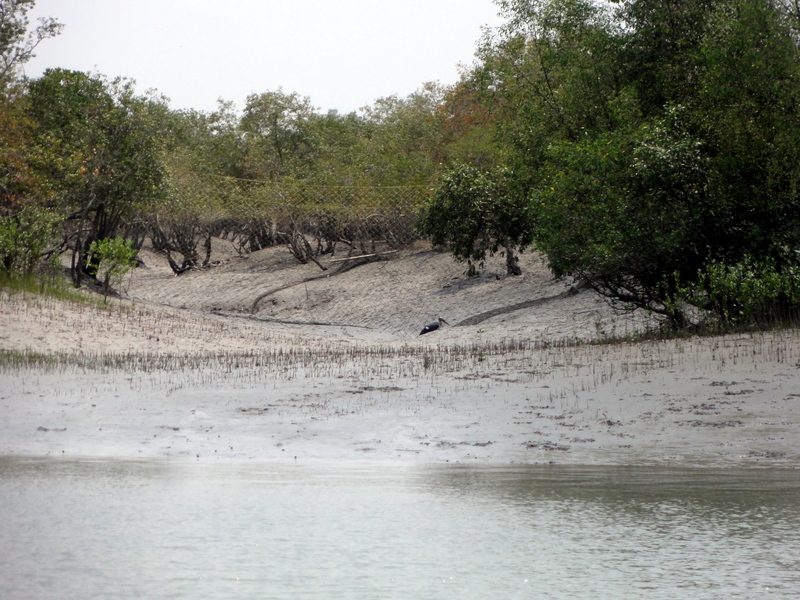 The Sundarbans National Park consists of 54 islands interconnected by a complex network of tributaries and labyrinth of tidal waterways. Water induced factors including monsoons, cyclones and tides result in constant transformations to these islands making remapping a necessity once in three years. The tolerance to the high degree of salinity and brackish water has resulted in some unique adaptations to the flora and fauna of the region. Apart from the Bengal tigers that are very good swimmers in this region, the area is home to over 260 species of birds as well as the threatened estuarine crocodile, Indian python and the critically endangered endemic river terrapin. While one side of the region is the forest, the other side of about 48 islands is inhabited by human population. The rich alluvial soil facilitates the cultivation of rice. With intense human activity in the region, human wildlife conflict is common. While this has been reduced considerably over the years, it still remains of the one key challenges in this ever evolving ecological system. 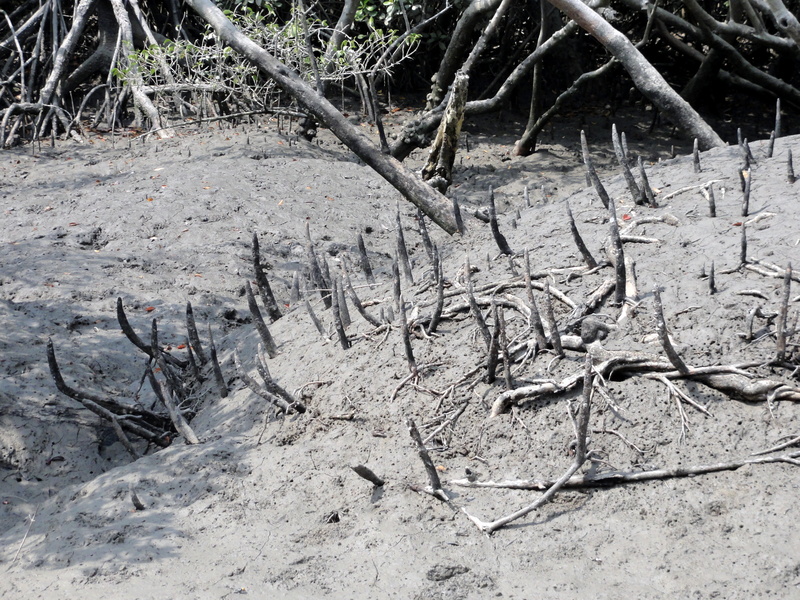 Sundari trees: the flora of the region is dominated by a special kind of mangrove species called the Sundari which is exclusively found in this habitat. 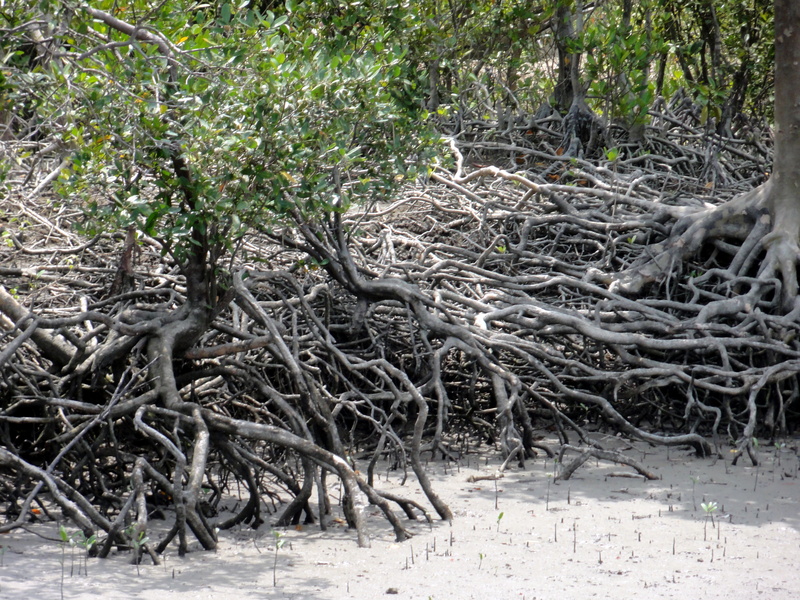 The tree whose wood is hard and used for building houses, boats and furniture has some fascinating root adaptations for the saline water- logged conditions. Apart from floating and stilt roots that aid in support, the tree produces a number of “spikes” that are actually breathing roots or pnuematophores. These structures help in respiration and are found in abundance during the rainy season as the whole forest is inundated with saline water during this time. 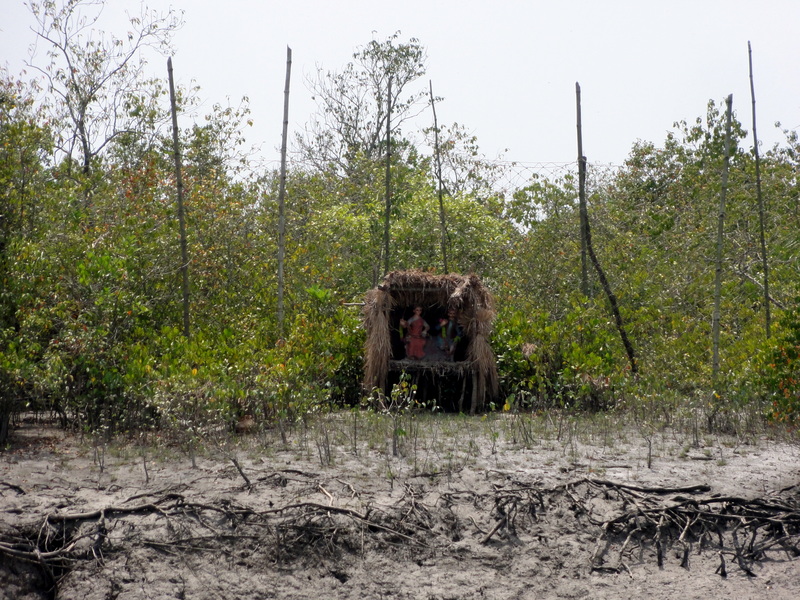 Local life: Life in the Sunderbans is both demanding and dangerous and nothing matches the grit of the men and women who call this swampy delta their home. While agriculture is the primary occupation with rice being the main crop, fishing is also a significant activity. 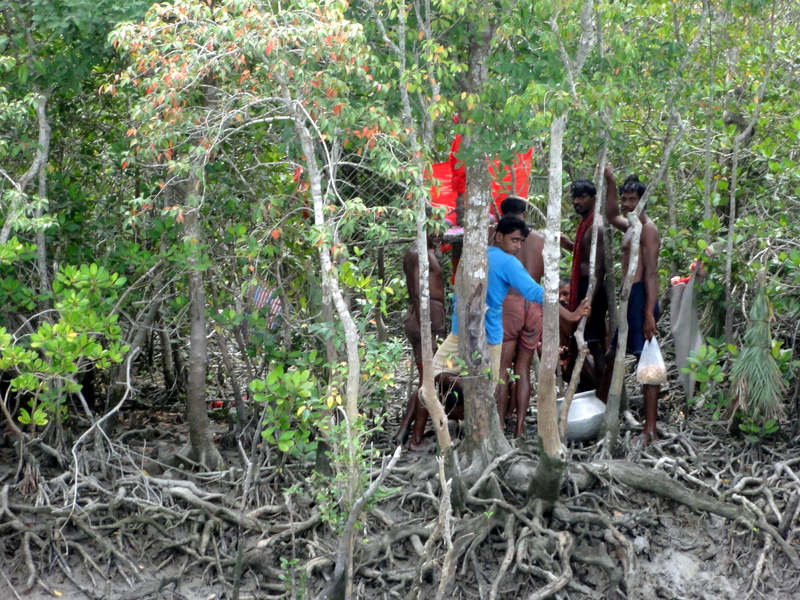 Most women and sometimes children are involved in “Bagda” or tiger prawn seedling collection that is extremely risky. Carried out on the fringes of the forest, most of them are attacked by crocodiles, tigers and shark in the water. Constant exposure to the saline waters increases their chances of contracting skin diseases. Yet another life threatening proposition is the activity of honey collection that normally happens between the months of April to June. Travelling in narrow boats through the creeks, the “Maules” (honey collectors) travel from island to island in search of hives braving the risk of venomous snakes and tigers apart from the aggressive bees themselves. Most often they wear human faced rubber masks on the rear side of their heads in an attempt to confuse the carnivore when they enter the forest. The extra income earned by them during the season is normally used to repay their debts. Bonbibi: along with the tiger, the forest Goddess or Bonbibi is deeply associated with the social, cultural and religious beliefs of the people here. 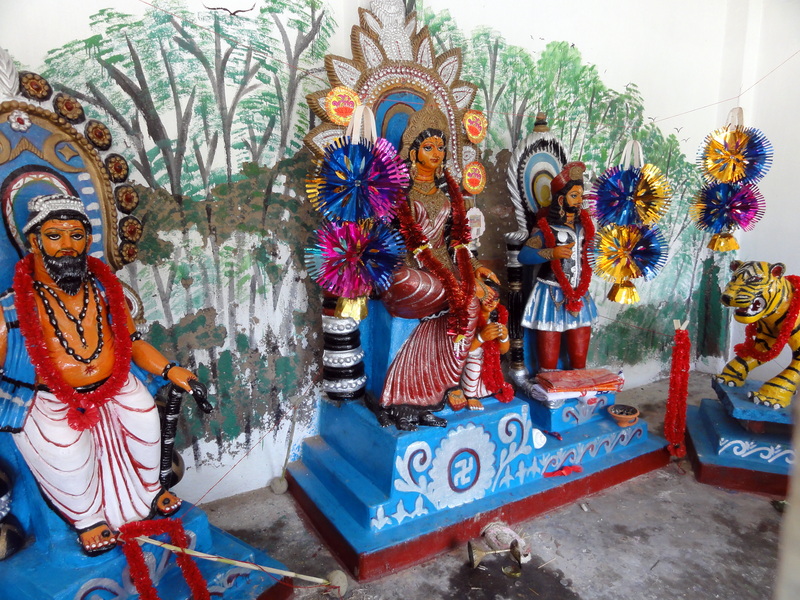 She is the ultimate savior of the forest and is worshiped universally by the “Maules” (honey collectors), “Baulis” (wood cutters) and fishermen before entering the forests. Irrespective of caste, the locals offer prayers to the deity for their safe return and the villagers’ unshakable faith in the Goddess also spreads a sense of communal harmony in the region. Humble thatched enclosures housing the shrine of the Goddess mounted on a tiger are a common sight with the locals gathering together in reverence before they face the perils of the forest. 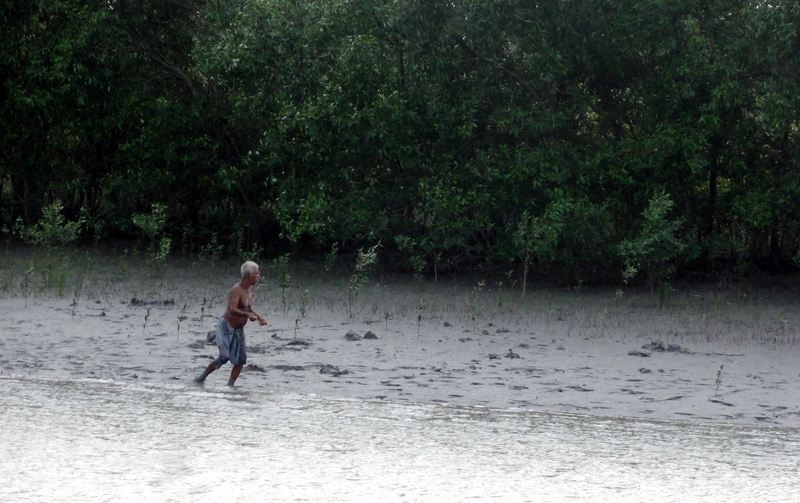 Multifaceted and akin to a kaleidoscope, the biological, sociological and cultural aspects of the Sundarbans are extremely intricate. What I loved about the land is the inherent quality of enigma and mystery that is attached to it which makes it so alluring. 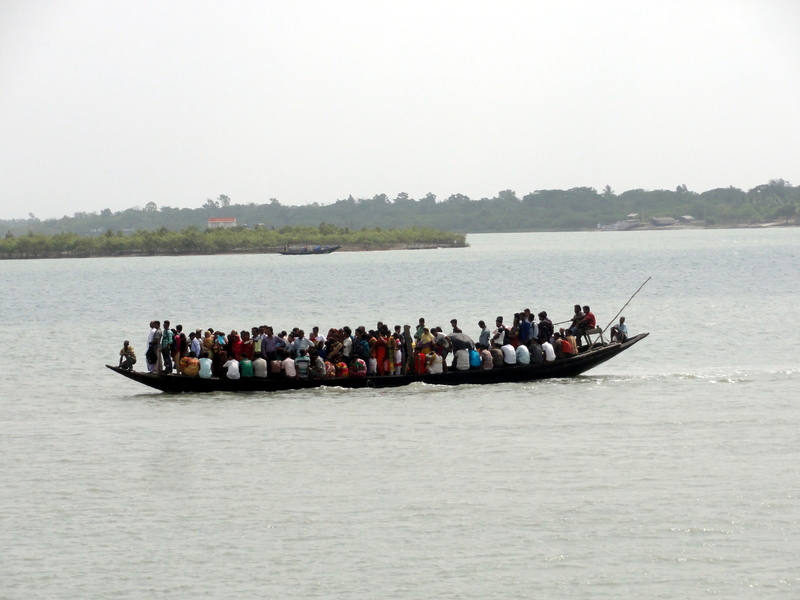 If traveling from Kolkata, the Sunderbans is about 130 km and takes around 3 hours of road journey and 2 hours of boat ride to reach. So beautiful! Longing to go here for so long! Do you think they have enough people on that boat??!!! Thank you once again for introducing me to this region of forests, mangroves and islands – so remote but, oh so interesting and beautiful. Another place to add to my ‘list’ one day! As usual, a great post Rashmi! The Sundari trees are beautiful….I really do hope to visit someday! I love the photojournalistic aspects of your photos. You capture the moments so well!! Thank you so much Reeanna; I am so happy with you complimenting my photos:) I always feel it is my weak point. Wow! 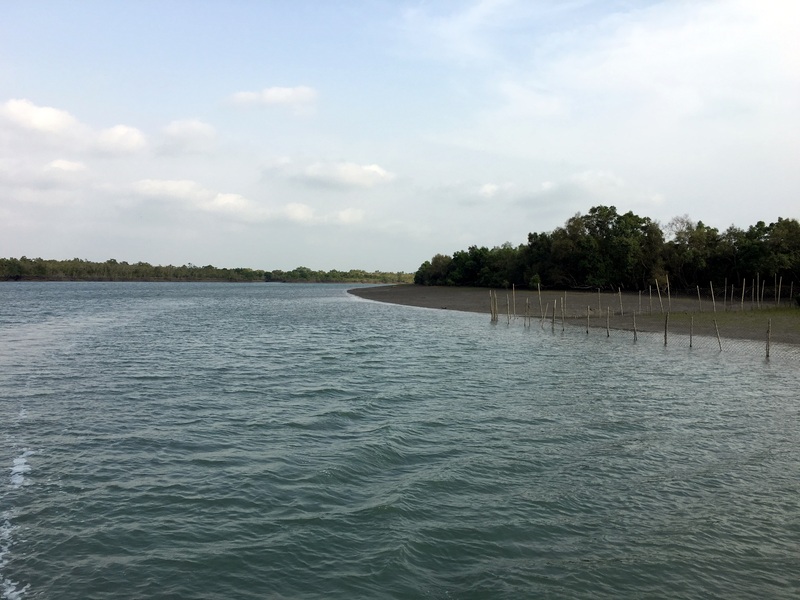 Such a beautiful post on Sunderbans. Such details! Wish I’d planned by Kol trip better! I have fond memories of this place. Your pics are fantastic! Rashmi, this is so beautiful. Must have been an amazing experience for you ! From past few years i am planning to visit Sundarban, but every time its being cancelled for some reasons. after reading your post am feeling to visit this time for sure. very beautifully written. Thanks Jyotirmoy; hope you visit soon! Yes that is right. There are a few educative programs in that direction, but guess will take some more time for major changes to come in. Amaizng facts and so beautiful ! Yes it is indeed. Have you been to India? I felt up and close with the royal Bengal tigers in all its majesty ..and the beauty of the mangroves captured in so much vivid details! Wanting to go here since long! !